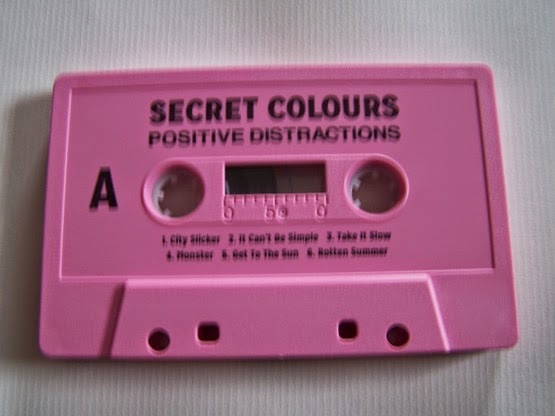 The first song I hear on this Secret Colours cassette makes me think of Stone Temple Pilots’ “Big Bang Baby”. 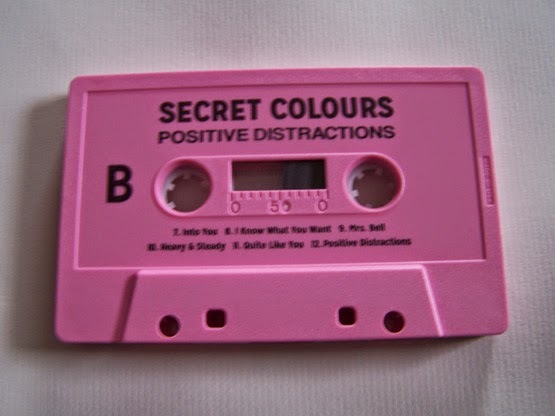 This instantly makes me happy, and though the songs do change throughout this is still a very solid rock album that is best experienced on cassette because it is somewhere between now and the 1970’s, so simple math dictates as such. 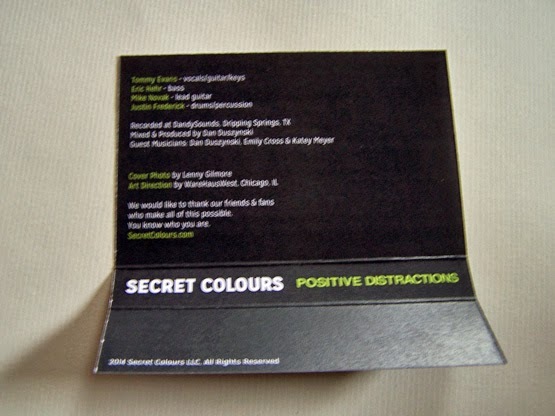 From a punk rock staple such as The Clash, this quickly transitions to someone such as The Police before slowing down, acoustic style and channeling Pink Floyd and The Beatles. 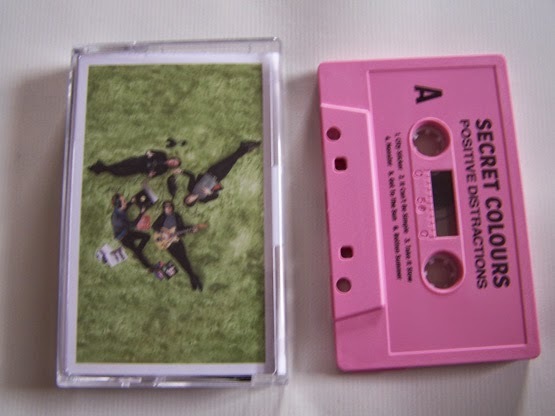 The Beatles seem to actually be a strong theme throughout this tape, but in no way is that a bad thing and not just because they are in absolutely all that is good. Side B features songs that can get a little bit funkier and recall Franz Ferdinand, yet also the song “Quite Like You” reminds me a lot of Belle & Sebastian. 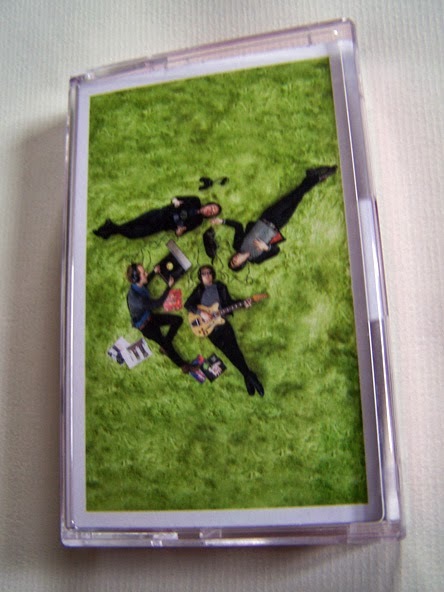 As the cassette ends, I think back of how it did bring to mind Oasis for some reason, and I’ve often had mixed feelings about that band but it is an okay comparison for me here. 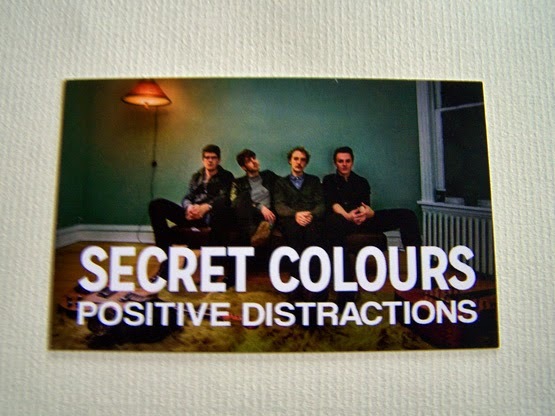 Essentially, Secret Colours takes all that is good with music and combines it to form “Positive Distractions”. 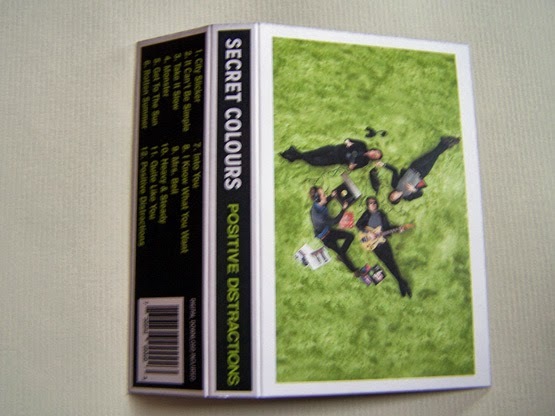 Whether or not you like some of their influences is irrelevant, because you will end up liking Secret Colours. 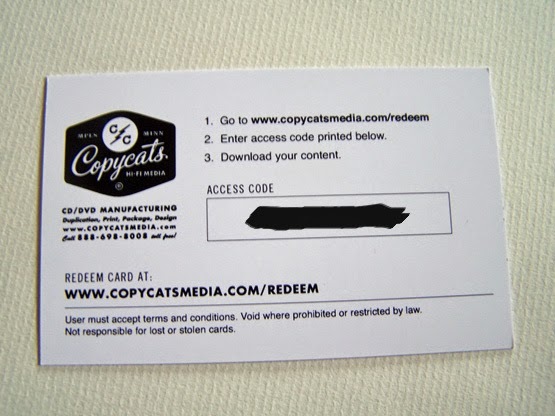 This is the closest I will come to liking a band that I feel could have a strong radio presence, so that says something about them on many levels- both in terms of my making an exception and their potential for mass popularity.